This paper mill marks the end of the line for our port tour. 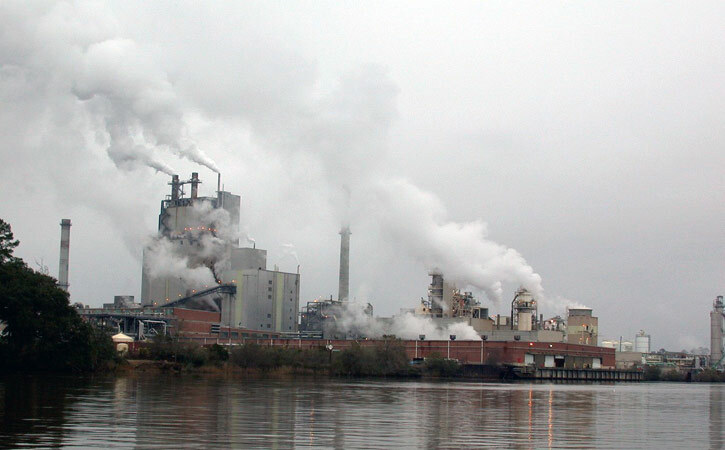 Weyerhaeuser was one of several companies to hold this mill in recent years, including: Stone Container, Smurfit-Stone, and Willamette Industries. Now currently owned by International Paper. Weyerhaeuser was one of the largest pulp and paper companies in the world; the world’s largest private owner of softwood timberland; and the second largest owner in the United States, behind International Paper. It employees over 41,000 workers in 18 countries. This plant and others like it were purchased in June of 2016 by International Paper. It is scheduled to remain in operation.